There should be nothing that ever holds you back. You have the potential to accomplish anything you set your mind to. Even though things may appear scary and you may be frightened of the outcome, if you decide you want it, you will be amazed at how well things turn out. Don't let the fear of failure turn you away. 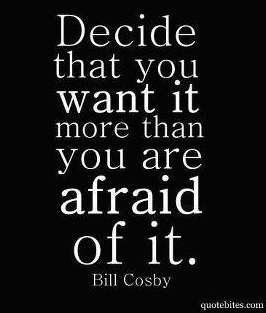 Decide you want it, work hard and put forth the effort. You are guaranteed much more success than fear will ever provide.